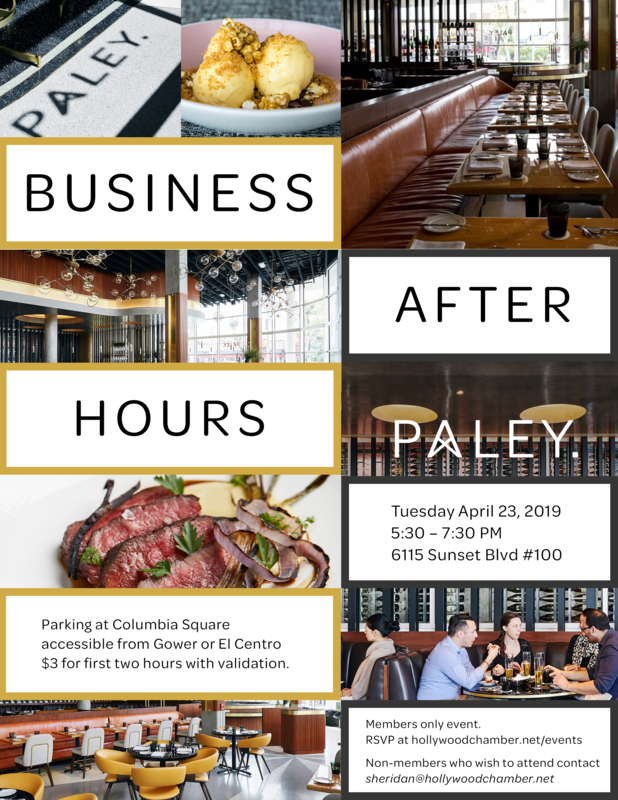 Join the Hollywood Chamber of Commerce on Tuesday, April 23rd for our monthly mixer at Paley Hollywood! Mix and mingle with your fellow members. Self-service Parking Lot Validation: $3.00 First two hours.